ARJ21 aircraft returns in triumph from Iceland after crosswind flight test__Commercial Aircraft Corporation of China, Ltd.
Site of ARJ21 crosswind flight test in Iceland. ARJ21-700 AC104, an aircraft independently developed by China, landed smoothly at Yanliang airport of Xi'an at 3:00 p.m. on April 8th, 2018, and slowly went through the welcome "water gate" after a 41-day trip to Iceland and a total range of more than 20,000 kilometers. This indicates the ending of the ARJ21-700 crosswind flight test in Iceland. This crosswind flight test has filled the gap of China's transport category airplanes in carrying out flight test with a crosswind of greater than 30 knots, has great significance in continuously improving the flight test capability of civil aircraft in China, and provides valuable experience for the international flight test of follow-up types of civil aircraft. This international ferry flight was performed by CFTC Test Pilots Zhao Peng, Chen Ming and Zhao Sheng. Mr. Liu Linzong, Deputy Secretary of the Party Committee and Vice President of Commercial Aircraft Corporation of China, Ltd. (COMAC), and Mr. Ge Heping, Secretary of the Party Committee of Chinese Flight Test Establishment (CFTE), welcomed ARJ21 aircraft at Yanliang airport of Xi'an. The aircraft departed from Yanliang, Xi'an, on February 27th and arrived at Keflavik International Airport in Iceland on March 5th. 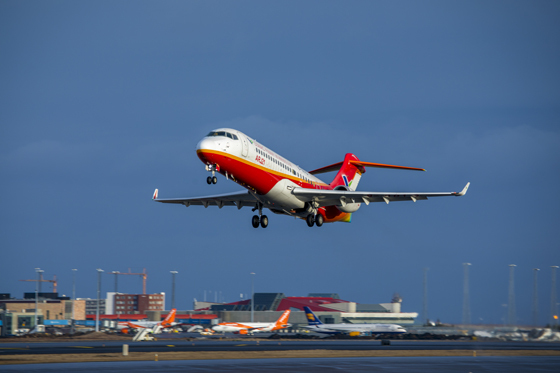 Mr. Zhao Zhiqiang, Test Pilot of Civil Aviation Administration of China (CAAC), and Mr. Chen Ming, Test Pilot of CFTE, flew ARJ21 AC104 and completed six take-offs and six landings at Keflavik International Airport in Iceland on March 26th. Data shows that the maximum instantaneous speed of the crosswind is 47.4 knots (about 87.78 km/h, equivalent to a force 9 wind), and the average wind speed is 38.4 knots (about 71.11 km/h, equivalent to a force 8 wind) during the take-off phase; the maximum instantaneous wind speed is 48.7 knots (about 90.19 km/h, equivalent to a force 10 wind), and the average wind speed is 35.2 knots (about 65.19 km/h, equivalent to a force 8 wind) during the landing phase, all of which exceed the wind speed of 25 knots (about 46.3 km/h, equivalent to a force 6 wind) required by China Civil Aviation Regulations (CCAR) Part 25 Airworthiness Standards: Transport Category Airplanes (CCAR25). The test points for crosswind control stability and power plant were successfully achieved, and therefore the target tasks of the crosswind flight test were successfully completed. Crosswind resistance is a very important performance of an aircraft. Strong crosswind can seriously affect the take-off and landing of the aircraft, and the aircraft must be verified by flight test to make sure the scale of crosswind with which the aircraft can take off and land safely. 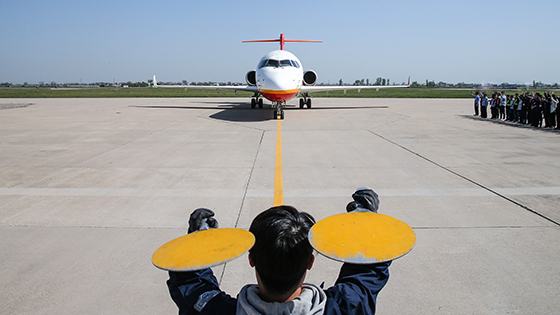 The take-off and landing ability of ARJ21-700 aircraft with a crosswind of 22 knots was verified in China during the Type Certification (TC) process. However, relevant test work has not been carried out in depth due to the restriction of environmental and weather conditions such as the runway of domestic airports and the speed of crosswind. 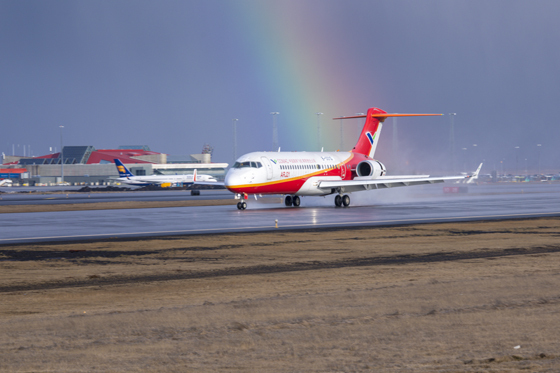 After thorough investigation and mass coordination and preparation, COMAC decided that ARJ21-700 aircraft would go to Keflavik International Airport in Iceland in March 2018 to carry out the certification flight test for crosswind envelope expansion. 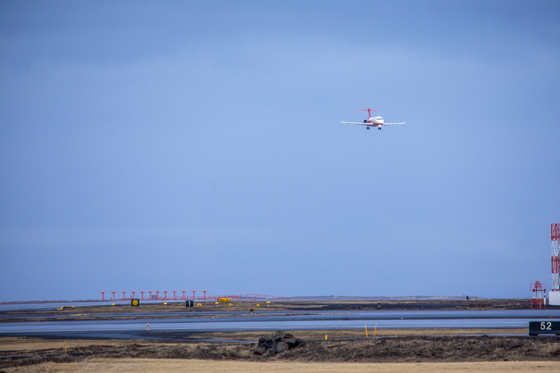 Keflavik International Airport is one of the few airports in the world having an East-West runway and a North-south runway that are orthogonal and form a cross shape, and there are strong winds of greater than 30 knots in this area throughout the year, which is favorable for capturing the test weather condition of greater crosswind. 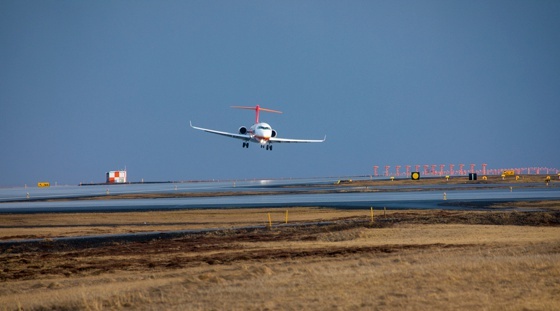 The success of the certification flight test for crosswind envelope expansion in Iceland indicates that ARJ21-700 aircraft has the capability of operating safely in all weather conditions required by airworthiness regulations, and has great significance in expanding the operating environment of the aircraft and improving the market operation efficiency of the aircraft. With the crosswind flight test in Iceland, ARJ21-700 has flown abroad and carried out flight test in special weather conditions for the second time after its natural icing flight test in the Great Lakes region of North America in 2014. 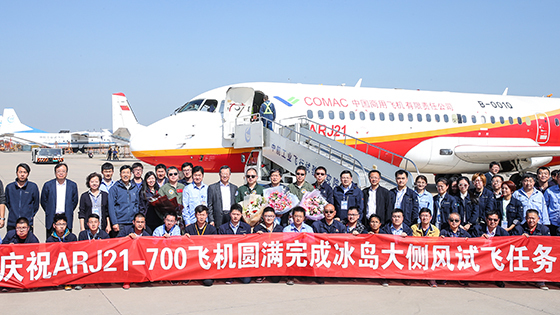 As the first type of Chinese jet being put into commercial operation, ARJ21-700 obtained Type Certificate (TC) on December 30th, 2014, completed the maiden trip on June 28th, 2016, and obtained Production Certificate (PC) in September 2017, which indicates that the program enters the phase of batch production and delivery. Up to now, a total of 453 ARJ21-700 orders have been obtained from 21 domestic and foreign customers. ARJ21 aircraft landed at Yanliang airport successfully on April 8th, 2018. ARJ21 aircraft returned in triumph on April 8th, 2018.